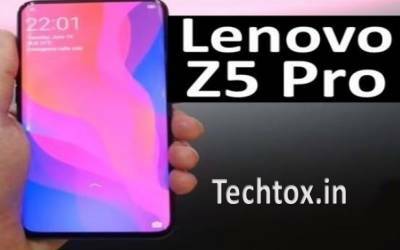 The handset maker Lenovo launched Lenovo Z5 earlier this year, but this phone did not conform to customer expectations. After some time the company's manager had announced that the Lenovo Z5 Pro smartphone will be launched on October 1, but it did not happen. Recently, the company's VP Chang Cheng has released new official posters on the Chinese site Weibo. With the help of these posters, it is revealed that the screen will be released from Lenovo Z5 Pro on November 1. Not only the poster but also the other features of the phone have also been indicated, such that the Lenovo brand will have a handset with camera slider like Oppo Find X and Xiaomi Mi Mix 3. In the poster the smartphone outline indicates the camera slider and the look of the display. Another poster has also been released, according to which it seems that the company can offer two selfie cameras on the front of the Lenovo Z5 Pro. Chang Cheng while writing captions with the poster said that the phone has an in-screen fingerprint sensor for security. Recall that before the official launch of the Lenovo Z5, the company had released several teasers. Through the teaser, the company had promised that this phone would be equipped with a notch-less display, strong battery and 4 TB storage. But none of these proved true after the launch. Now whether the information received from the Lenovo Z5 Pro poster is true, it will be known only during the launch event.